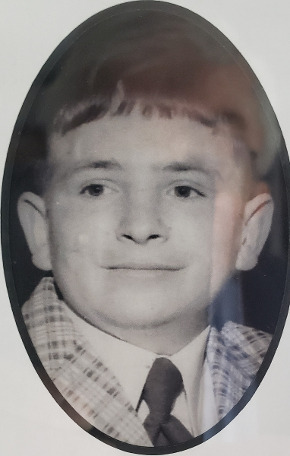 Everett D. Schroder Jr. age 61, of Loveland, Iowa passed away on Friday, April 12, 2019 at Community Memorial Hospital in Missouri Valley, Iowa. Everett was born July 10, 1957 in Council Bluffs, Iowa to Everett D. and Patricia L. (Barger) Schroder Sr. Everett graduated from Iowa School for the Deaf. He worked at PlastiLite in Omaha, Nebraska for twenty-three years. He enjoyed puzzles, models, and he would always help anyone that needed it. Everett was preceded in death by his father Everett Schroder Sr. Survivors include his mother: Patricia Schroder of Loveland, Iowa, sister: Kim Knudsen of Missouri Valley, Iowa, brothers: Keith Schroder of Loveland, Iowa and Bruce Schroder of Wilsaw, Montana, three nephews and one niece. Visitation will be Wednesday from 9:00 a.m. until 10:00 a.m. at the Christian Church in Missouri Valley, Iowa. Celebration of Life Service will be held 10:00 a.m. Wednesday, April 17, 2019 at the Christian Church in Missouri Valley, Iowa. Pastor Ken Fairbrother will be officiating, Music Selections, “Amazing Grace”, “The Old Rugged Cross”. Final Resting Place Branson Cemetery, Loveland, Iowa (At A Later Date). The family would like to invite everyone to a time of lunch and fellowship at the Christian Church Fellowship Center following the service. Hennessey Funeral Home, Missouri Valley, Iowa handles his funeral arrangements. Thanks to Hennessey Funeral Home and Kim Sebert for the information.